Happy Friday!!! Hello and welcome to the Jaded Blossom stamp release blog hop!!! I am soooo excited. Michelle and I have sooo much planned for you guys. I hope you all love the stamps as much as we do! If you came from Jaded Blossom then you are in the right place. If not and you would like to start at the beginning please click here. Second Project: I used the "Gumball" Petal stamp set :) LOVE this stamp and the sayings! Third Project: I used Valentine Treats stamp set. 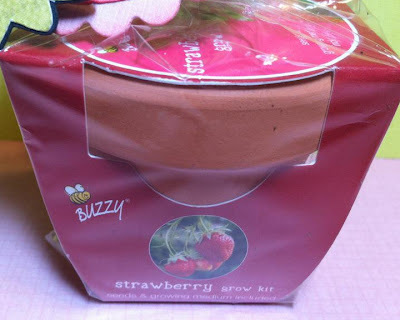 I got this cute little strawberry pot from Target in the $1 section. I put it in a cone bag (folded the tip up the back) and then added this little tag. The Circle with hearts and "I Dig You" are both from Valentine Treats. And whats a hop without a prize? Jaded Blossom is giving away these prizes to three lucky winners. Comment on all blogs for more of a chance to win. You must be a follower of Jaded Blossom to win though. Your next stop is Kim! Of course I absolutely LOVE !!!! OMG I love them all!! Your projects rock!! Everything is sooo cute!! Love the wands!! Ohh...I love all your projects!! Fabulous job! And those wands...I should have got some! I love all four. I love that gumball machine. These are so cute Candace!!! I <3 them all! These are soooooo Cute I love them all. love them all; especially the gumball stamp! Sweet! So excited to have found your blog@ I am now a new follower!! You are one talented lady! loved all your projects. but my fav was the owl!!! Love the stamps and all your projects.GREAT JOB!!! Candace, All are adorable. 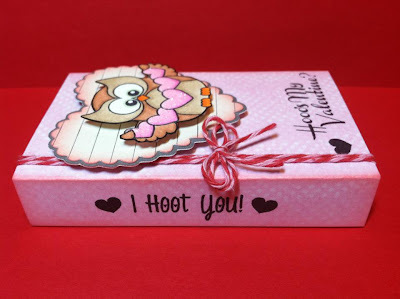 I have to admit my favorite is the owl conversation heart box way too cute!! Candace you have out did yourself. I cannot even choose which one I love the most. They are all so cute. Great job. I have ordered from Jaded Blossom and the shipping was super fast. Love your projects! Great ideas. Super cute! So cute!! 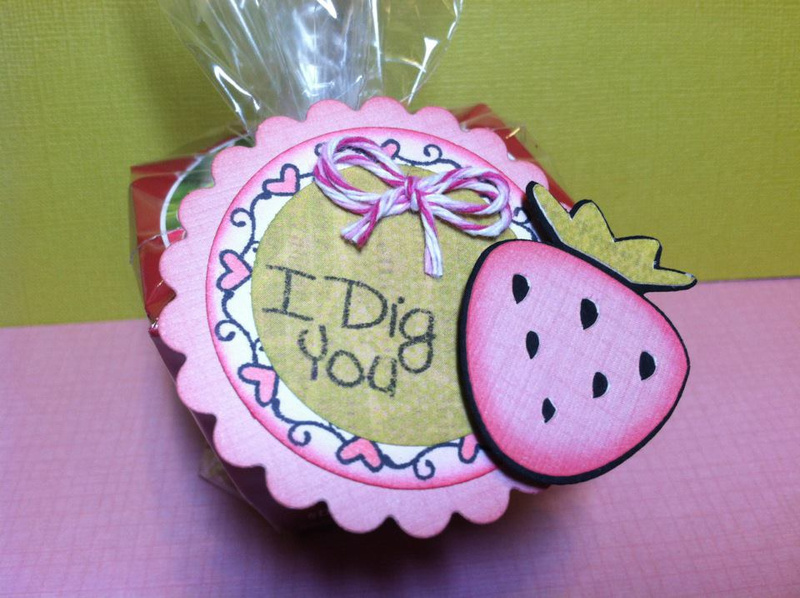 I love that candy box and the strawberry tag!! Great Job!! Great projects! Love the stamps! Great projects! and great job ladies on your Jan release!!! Congratulations!! FYI - there was no way to leave a comment on the Jaded Blossom blog?? I will try later! Thanks for sharing all your wonderful projects. 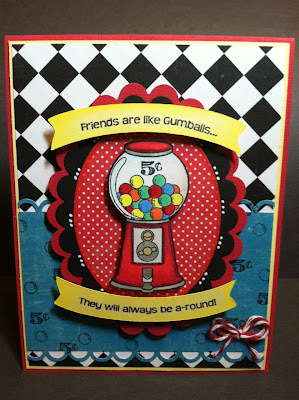 I love the gum ball stamp set! Following your blog and on FB! All of the stamps were awesome! Love the new stampps - and your projects! You are so talented and creative. I love them all! I cant want to use the I Dig You stamp just bought a bunch of plastic shovels for valentine treats. what great lookin stamps! Love 'em!! Oh wow! your projects are so perfect! I really like that candy box - super cute. 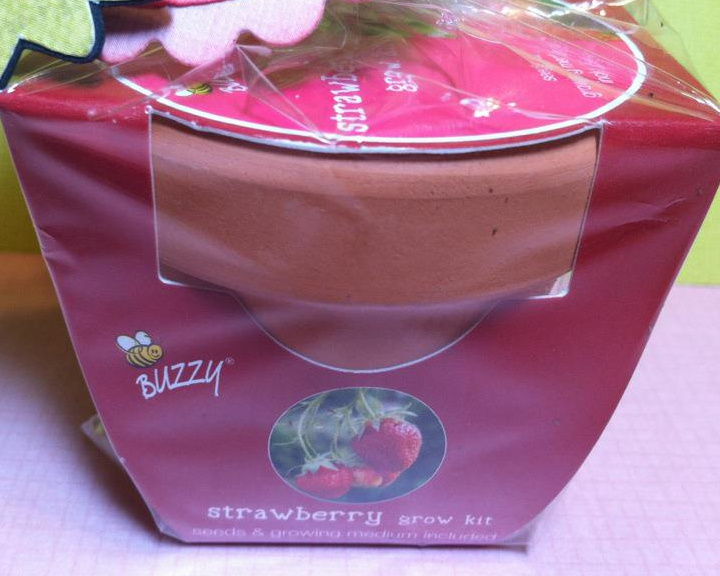 Your card is amazing and the strawberry plant pot is too cute. Love them all!! Really, really diggin' the gumball machine stamp....I think I just might have to get it! I love your projects, Candace! They turned out so cute! Thanks for sharing! Crazy cute!!! Love the Valentine Boxes those turned out really cute!!! You guys are amazing creators!!! Can't wait to see more of your creations!!! WOW WOW WOW!!!! All these are just tooo cute!! My fave is the wand!!! These are awesome! You guys rock!! OMG Candace all the projects are amazing!!!!! I love all the stamp sets!!! Candace, your projects are awesome! I love the owl set! It so cute! Amazing projects Candace! I love the sweetheart box! These are really cute. Anyone would love to have one of these..
LOVING The new stamps and really loving your projects Candice! Thanks so much! I love these projects.. Now I'll have to buy the wands too. UUGG! I also learned that the Mothers Day cartridge has that cute pinwheel. Never knew that! Thank you for the tip and for all the great projects.. Awesome Candace! Absolutely AMAZING! Love what you created! Beautiful! New Follower! Adore The wand! OMG!! !ur projects R all soooo cute..grrat job! LOVE the box cover..... Love love LOVE it. 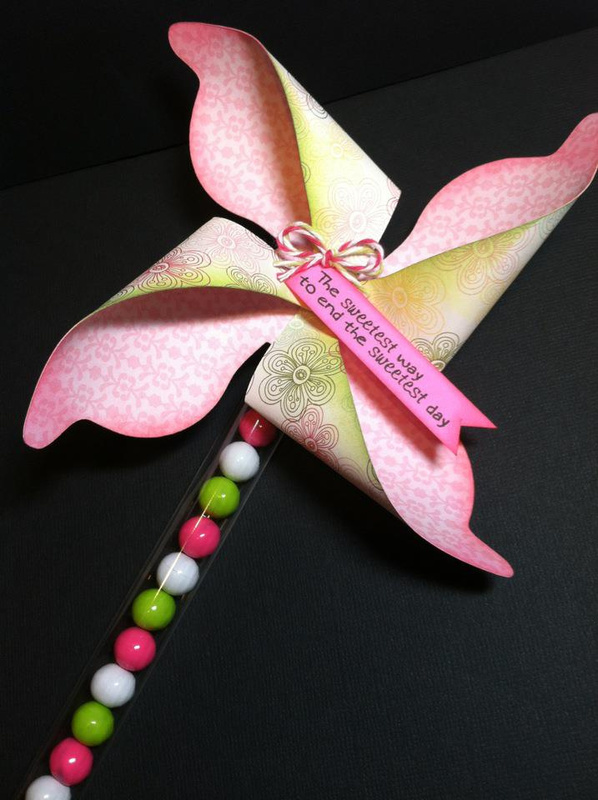 Love the pinwheel wand how creative and the cards are so cute! WOW Super cute - I just bought some of the Sweetheart Boxes and am going to try this. Also loving the pinwheel! Great jo!!! I think my favorite stamp out of the entire January release is the gumballs! All of your projects are so cute! I really love that pinwheel with the wand though! Awesome stamps and projects. Thanks for sharing. WOW!!!! I love all of your projects! They are awesome!!! Love them all! All the projects are amazing! All so super cute! 'I Hoot You' My favorite!!! I love the new stamps and after seeing your projects I really want them on my desk. Thanks for the inspiration. Your projects and the stamp sets are adorable. Wow, your projects really did the stamps justice. They are awesome. I love all of the projects and the blogs! The stamps are awesome. Your projects are super cute. I love the pinwheel, great party favors. Oh, my word! Your projects are fabulous! I totally love the new stamps and just adore the Bubblegum set! Love what you created with it! Happy to be a new follower so I don't miss out on your super cute work! Love love love your project. You are extremely clever and I will definitely be a follower. Thanks for your time and talent. These projects are great! Love them all. Very cute projects, love them all. Such cute projects! I love that pinwheel! What great ideas and beautifully done. What great projects you made...I love them all!!! You always make it worth the visit to your blog. I am a follower of all blogs on this hop. Very cute projects, Candace. I love, love the owl and the candy box. "Heart candy" is my favorite this time of year. Thanks for sharing. You never cease to amaze me with what you come up with. I love all of your projects and great stamps you have come up with. Do you know if there is a pinwheel on any other cartridges than the Mother's Day cartridge? I do not have that one but would love to make some of the pinwheels. Thanks. I love them all, but I really love the pinwheel! It is just too cute! You girls are doing an awesome job! I love how you used the sweetheart box and decorated it with the owl!! Fantastic Job you are very talented!! Love love love! I love your projects!!! how cool are those!! I gotta say that my favorite one is the pinwheel how creative!! Happy Happy Love Love your work with those stamps. 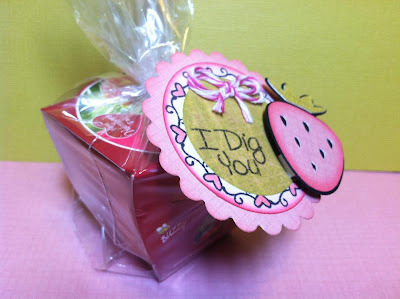 Love the conversation heart box, great for kids and adults. Awesome job!! 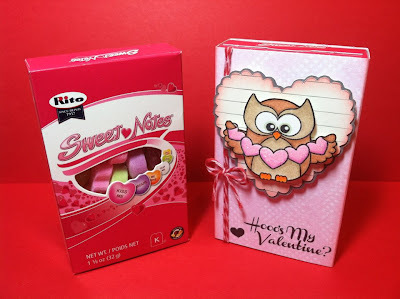 I love the hearts box cover....the owl is sooooo cute! glad.i got him! Great projects. I love the pinwheel. Thanks for sharing. Really love them all.....you are so talented! Keep it comin girl!!!! Great projects, thanks for sharing them. Love them all!! I especially love the wand and pinwheel! All your projects are adorable. Great projects. Congratulations on your success. Cute projects! thank you for sharing your hard work and imagination with me. Sweet! I'm going to post this site to my friend. Amazing talent!! Your projects are GREAT!! I Love, Love, Love the owl stamps. All your project are adorable. Such an amazing job on all the projects. I love them all, Thanks for sharing. Great ideas! Thanks much for sharing! I am a new follower and can't wait to see more of your work. I just LOVE these stamps! My favorite is the gumball :) thank you so much for the chance to win! How stinkin cute!!! I love the candy box what a great idea! The pin wheel is adorable too, super cute idea for spring time!